Yeah, the days before viruses and bloatware. Nostalgic indeed! Is Bashing still available or something equivalent? 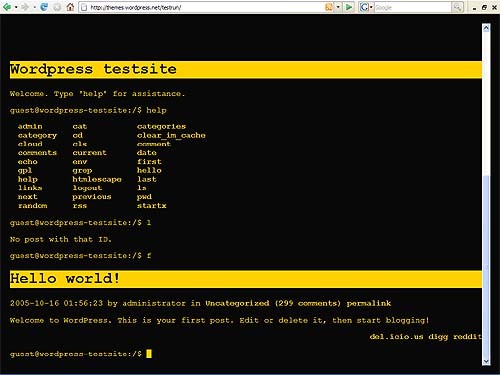 As Old school as it is I am starting a gaming wordpress site and the dos/CLI look is what I am going for. Please let me know. Thanks. Yes, it still seems to be available. I found it with a quick Google search using the terms “BASH” and “WordPress theme”.